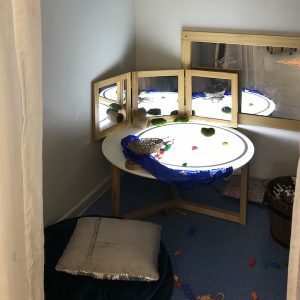 Big picture considerations – exploring the role of theories, principles and images, to provide a foundation for the exploration of environments in early childhood contexts. Designs and dimensions of environments – examining architectural principles and case studies in local Australian contexts to provoke thinking and open possibilities. Applications – to enable participants to make connections between theories, principles and practice to put in place possibilities (and consider missed opportunities) within educators’ own contexts.